Information and Map on How to Find Us and Join Us for Worship. From Uniontown, PA. Go west on Route 21 to the traffic light at the McClellandtown Fire Hall on the northside of the highway, proceed on Route 21 approximately ¾ mile, turn left onto Springer Road and church is just off Route 21 on the hill at the corner of Route 21 and Springer Road. From Masontown, PA. Proceed east on Route 21 for three miles, the church is located approximately ¾ mile past Detweiler GMC Dealership on the right, turning right on Springer Road, church is on left on the hill. We have ample parking to welcome you during your visit. 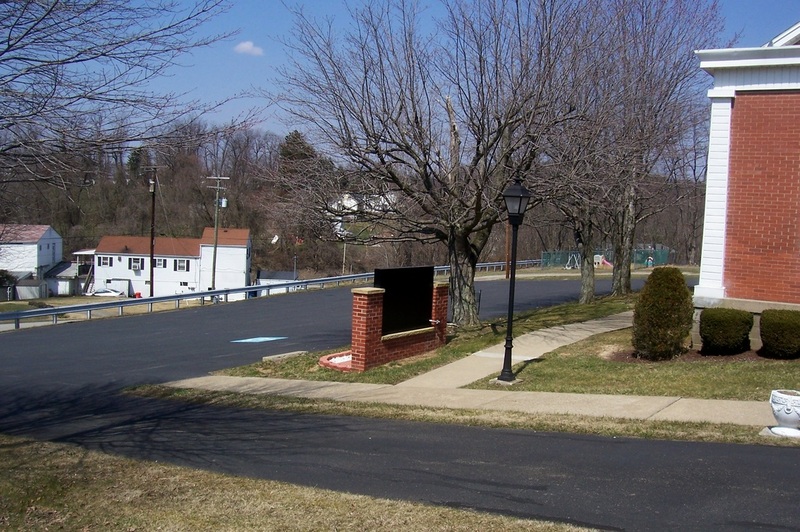 The church has ample parking available on the west side of the church as seen in the photo on the left) We also have plenty of additional parking available behind the church. There is a loop driveway in front of the main church doors, if you wish to let off passengers at the front entrance to the sanctuary.